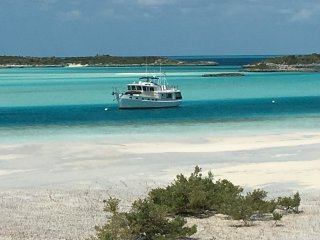 After many moths of travel and waiting out weather at marinas, we have reached the Exuma Islands, this years destination. This chain of islands starts about thirty miles south of Nassau. The mostly uninhabited series of Cays (pronounced Keys by locals) runs north to south. Boats can travel both sides of the Cays. There are also numerous cuts between the islands in which boaters can switch sides depending on how the wind blows. The west side of these islands is known as the bank side. Being protected from the prevailing winds, most anchorages and small villages are found here. The sound side, east side, offers deep (1800 ft.) blue water along with excellent fishing opportunities. The Exuma Land and Sea Park has been our home for the past two weeks. This 176 square mile area was created in 1958 by the Bahamian Government. The 22 mile long area is a “no-take” zone on both land and sea. It’s purpose is to provide a safe haven for the native species. The park depends on volunteers and donations for its support. Park headquarters is located on a high hill overlooking the Warderick Wells mooring field. We spent three nights attached to mooring ball #9 admiring the idyllic natural settings of the park. We share this mooring field with 18 other cruisers. The waters endless shades of blue and green provide a stunning contrast to the near desert conditions of the hard limestone island. You would be hard pressed to find a more beautiful setting. Photos do not begin to capture its beauty. 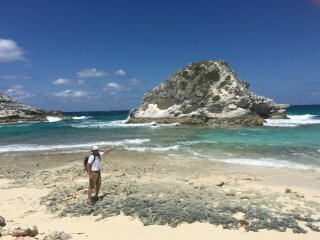 On shore, we find many hiking trails which traverse the island. The most popular is a trip to “ Boo – Boo Hill”. Legend has it that a schooner carrying missionaries sank after hitting a coral reef. Everyone aboard perished and no bodies were found. Their spirits are said to roam the island and on moonlit nights their sound of singing hymns can be heard. 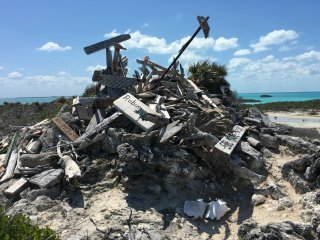 It has now become a tradition among boaters to leave an offering atop Boo-Boo hill to appease King Neptune for safe passage through this area. Boaters typically inscribe their boats name on a piece of driftwood and leave it on the hill top. 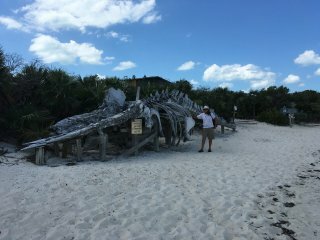 After searching for a suitable offering along the beach, we too left our request for safe passage. 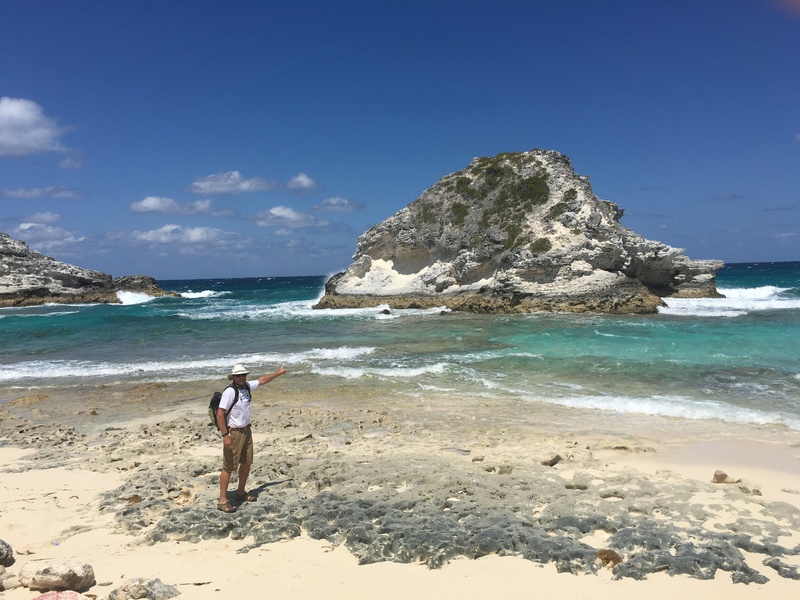 We spent one day hiking the Exuma Sound Trail which follows the hard rocky coastline along the sound side of the island. . Other than hiking we snorkeled several nearby reefs. Leaving Warderick Wells, we ventured out into the sound for a ten mile trip to Cambridge Cay. The mooring balls here are first come first serve and self pay. Ashore on a sandy beach is a mailbox to deposit your nightly fee. You can also anchor here at no charge. Whenever a mooring is available, we choose this option over anchoring to help the park. 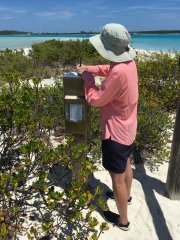 This island is private but the owners allow park guests to come ashore and hike both the north and south trail. Cambridge has several good snorkeling spots within a short dinghy ride. Our first day was spent snorkeling a spot known as the aquarium. This must be done at slack tide as the current can be fierce. This small reef has a variety of hard and soft corals as well as many fish. We next stopped at a Cesena plane wreck sitting in about 15 ft. of water. This plane was ditched in the water after a drug smuggling run back in the 1980’s. 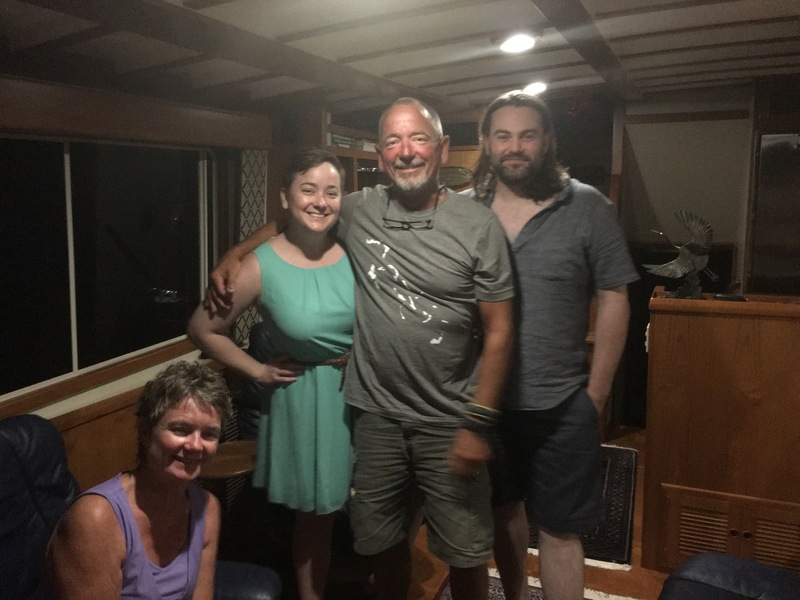 Returning to the mooring field, we see our good friends Marty and Suzanne aboard Alizann have arrived and are sitting on a mooring ball nearby. Marty tells us of another snorkeling site know as Rocky Dundas. This site must be snorkeled at low tide. A joint snorkeling adventure is planned for the next day. Here we find two caves with stalactite and stalagmite formations. It is very interesting to explore the tiny caves and the associated reefs. 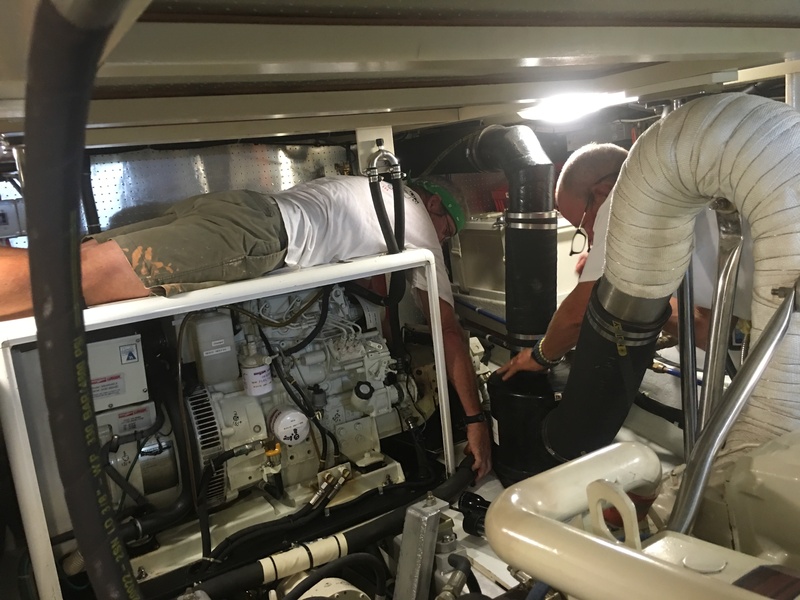 Each evening while at anchor we run our generator for one to two hours in order to charge our batteries. Last evening, Jeff noticed a small rattle coming from the generator. He knew this sound was not normal and it sounded like the same issue we had in 2008 when the clutch bearing failed. After closer inspection, he found metal shavings around the housing. A call to Alizann was made and Marty came over and confirmed Jeff’s diagnosis. Marty had experienced this same problem last fall. This clutch attached to the end of the generator drives an auxiliary hydraulic pump that powers our “ get home” drive. After exploring our options, the decision is made to disconnect this clutch from the generator. We will not have a backup get home drive but everything else should work just fine without it. We will have it replaced once we are back in the states, The bigger question is why this clutch keeps failing. This will be our third clutch and Alizann is on their fourth. We feel very fortunate that we noticed our problem when we did. Marty had purchased two specific wrenches last year when installing his new clutch. We needed those two wrenches to disconnect the clutch from our generator. Someone was looking out for us. 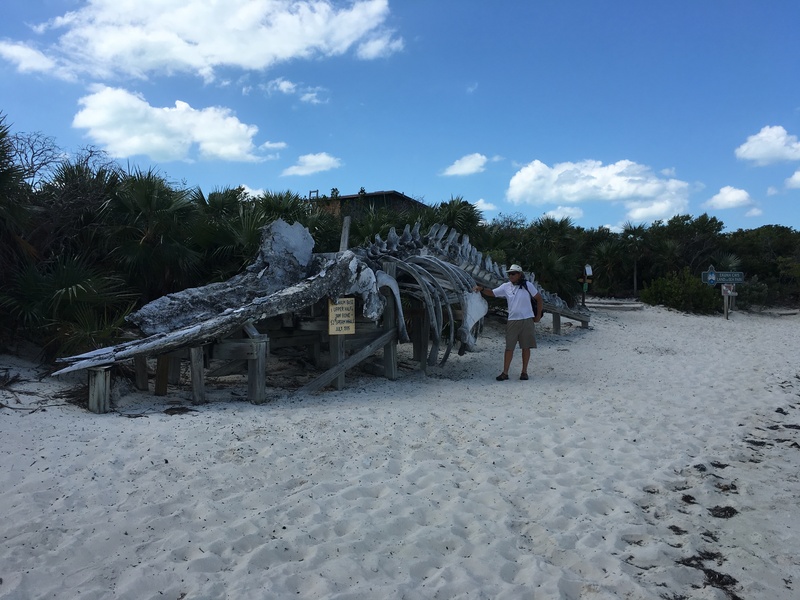 This entry was posted on April 20, 2016 at 1:23 pm. You can follow any responses to this entry through the RSS 2.0 feed. You can leave a response, or trackback from your own site.